LVMH Moët Hennessy Louis Vuitton, the world’s leading luxury products group, recorded revenue of €42.6 billion in 2017, an increase of 13% over the previous year. Organic revenue growth was 12%. All business groups recorded double-digit organic growth with the exception of Wines and Spirits, whose growth in the second half was limited by supply constraints. With organic revenue growth of 11%, the trend seen since the beginning of the year continued into the fourth quarter. Profit from recurring operations reached €8 293 million in 2017, an increase of 18%. Operating margin reached 19.5%. Group share of net profit was €5 129 million, representing growth of 29%. Gearing of 24% at the end of December 2017. * With comparable structure and exchange rates. The currency effect was -3% and the structural impact was + 4%. The Wines and Spirits business group recorded an increase in organic revenue of 7%. On a reported basis, revenue growth was 5% and profit from recurring operations increased by 4%. Champagnes grew steadily, with volumes up 4%. With 7.5 million cases of cognac shipped in 2017, Hennessy’s volumes increased by 8%, with significant growth in China and the United States despite supply constraints in the second half. All qualities contributed to this performance. The inauguration of the new Pont Neuf bottling site, designed to strengthen the production capacity of the Maison, was a highlight of the last quarter. Colgin Cellars, a Californian estate producing exceptional wines, and Woodinville whiskey were added to the business group. The Fashion and Leather Goods business group achieved organic revenue growth of 13% in 2017. On a reported basis, revenue growth was up 21% and profit from recurring operations increased by 27%. Louis Vuitton continued to demonstrate outstanding creativity across all of its businesses, maintaining a good balance between innovations and the strengthening of its iconic product lines. New products arising from the collaborations with the artist Jeff Koons as well as the Supreme brand, the launch of the brand’s first smart watch and the inauguration of the Maison Louis Vuitton Vendôme in Paris were among the key events of the year. Christian Dior Couture, whose business became fully consolidated within the Group in the second half, achieved an excellent performance. The exhibition at the Musée des Arts Décoratifs in Paris, celebrating the 70th anniversary of the Maison, was a huge success. Fendi continued to grow strongly. Loro Piana, Céline, Loewe, Kenzo and Berluti made good progress. Marc Jacobs strengthened its product offering and continued its restructuring. Rimowa completed its first year within the LVMH Group. The Perfumes & Cosmetics business group recorded organic revenue growth of 14%. On a reported basis, revenue growth was 12% and profit from recurring operations increased by 9%. Parfums Christian Dior grew market share in all regions, driven by the worldwide success of its fragrance Sauvage and the vitality of its iconic perfumes J’adore and Miss Dior. 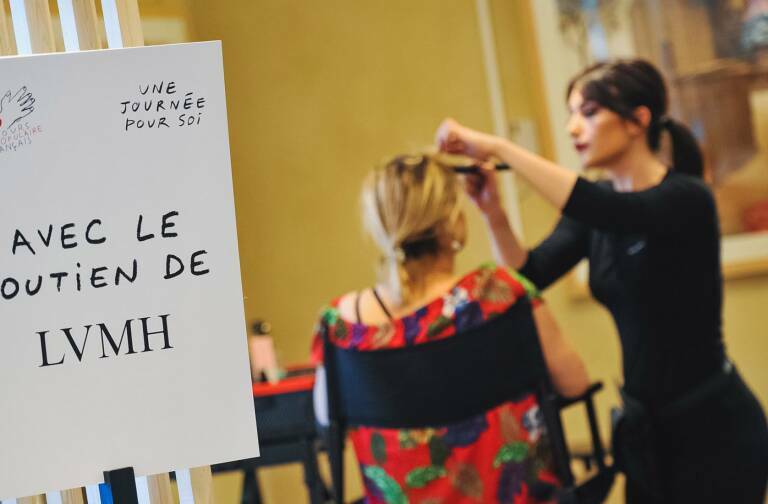 The makeup segment grew strongly, driven by the Rouge Dior and Dior Addict lines. Guerlain benefited from the successful launch of Mon Guerlain and the international roll-out of Guerlain Parfumeur boutiques. Parfums Givenchy had a very good year, thanks in particular to its makeup, just as Benefit which reinforced its Brow Collection. Fenty Beauty by Rihanna, launched worldwide exclusively at Sephora, is enjoying exceptional success. The Watches & Jewelry business group recorded organic revenue growth of 12%. On a reported basis, revenue growth was 10% and profit from recurring operations increased by 12%. Bvlgari achieved an excellent performance and continued to gain market share thanks to the strength of its iconic lines Serpenti, B.Zero1, Diva and Octo. Growth was particularly strong in Asia, the United States and Europe. 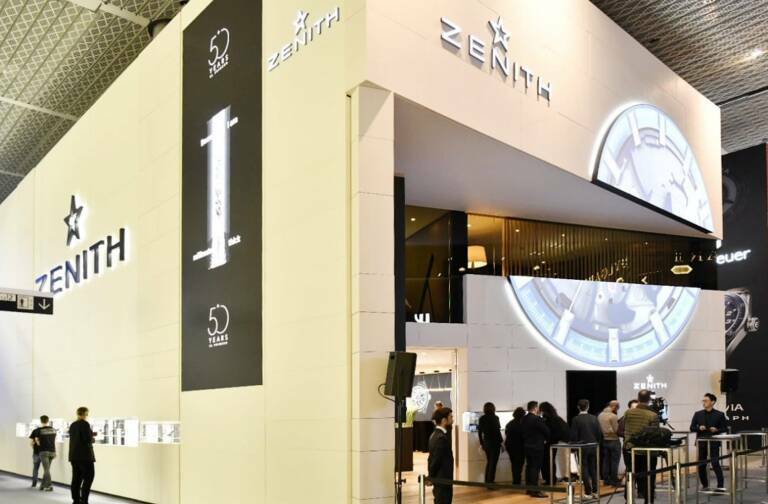 The inaugurations of the new manufacturing facility in Valenza and the flagship store on Fifth Avenue in New York are among the major events of the year. The success of the Liens and Joséphine collections, and its continued upgrading, drove Chaumet’s growth. 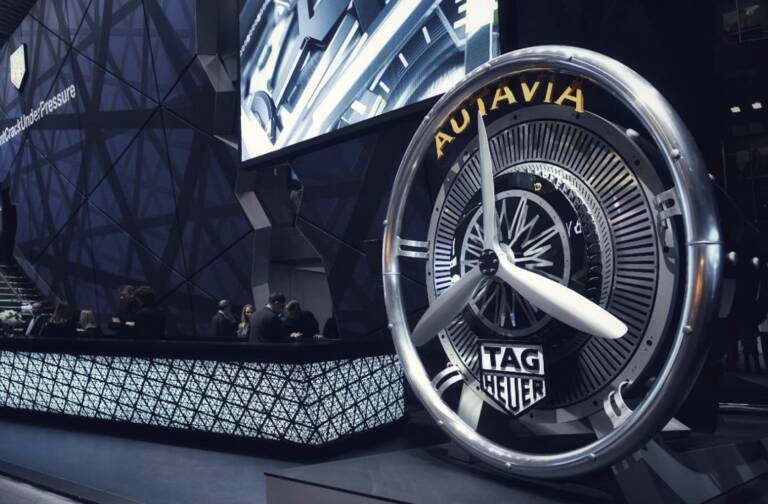 In the watch sector, TAG Heuer and Hublot continued to grow. At TAG Heuer, a new generation of smartwatch with multiple customization possibilities was launched in 2017. The Selective Retailing business group recorded organic revenue growth of 13%. On a reported basis, revenue growth was 11% and profit from recurring operations was up 17%. Sephora continued to gain market share. Its growth was particularly strong in North America and Asia. A new territory, Germany, was inaugurated, while Sephora expanded its online presence in Scandinavia, Mexico and the Middle East. Le Bon Marché has created a new online shopping experience by launching its digital platform, 24 Sèvres. The year 2017 was a positive turning point for DFS, with better positioned markets, especially in the second half. The new stores in Cambodia and Italy continued to grow. In an environment that remains supportive at the beginning of the year and despite unfavorable currencies and geopolitical uncertainties, LVMH is well-equipped to continue its growth momentum across all business groups in 2018. The Group will maintain a strategy focused on developing its brands by continuing to build on strong innovation and investments as well as a constant quest for quality in their products and their distribution. Driven by the agility of its teams, their entrepreneurial spirit, the balance of its different businesses and geographic diversity, LVMH enters 2018 with cautious confidence, and once again, sets an objective of increasing its global leadership position in luxury goods. At the Annual Shareholders’ Meeting on April 12, 2018, LVMH will propose a dividend of €5 per share, an increase of 25%. An interim dividend of €1.60 per share was paid on December 7 of last year. The balance of €3,40 per share will be paid on April 19, 2018. The LVMH Board met on 25 January 2018 to approve the financial statements for 2017. Regulated information related to this press release, the presentation of annual results and the report “Financial Documents” are available at www.lvmh.com.